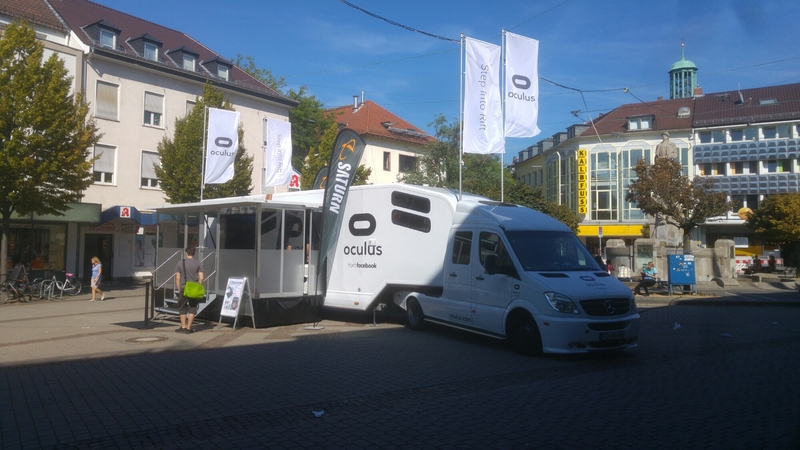 I had the chance to try Oculus CV1 last Thursday (8-Sep-2016) in Darmstadt. Putting on the device took a long time for me and in the end, it was not completely fit to my head and my eyes. I still was able to see below the oculus some parts of the real world and that will reduce the quality of playing with a virtual reality. I still did not have a chance to play with VIVE but hopefully, that supports big head people. Also, I have a colleague which cannot put on any of the head mounted displays. When I see something on the display I noticed the display’s pixels are still too big and I could easily see the pixels. When I mentioned that, the guide asked me to not look deep into the picture and just enjoy it :). He also mentioned they already have a device with twice resolution in each dimension but as you need a more expensive PC for that, they just decide to not publish that version. I really liked the demos and the experience was really exciting. It only was really annoying that I was not able to move into the truck too much because space was limited but anyway if there was I was limited to 120 degrees of Oculus tracker view angle and 2.5 meters cable. The guide told me it is possible to use 4 trackers at the same time to cover a bigger area with more freedom. Although, he said using an extension cable for the HDMI is possible, I believe this can reduce the quality and frame rate of the final output. In the end, they also suggest me to buy an oculus rift for 679 Euros which I cannot spend right now on this device :). Soon, I will be able to try HTC Vive in our company. After that, I think I can decide on buying one of them.